What do you get when you combine inspirational ideas from four different centuries? 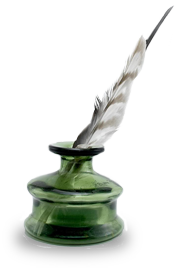 Well, when I tried that recently I ended up composing a song honoring my ancestor, Josiah Bartlett, as well as the other signers of the Declaration of Independence. From the 18thcentury I drew inspiration from the Declaration itself and the tremendous sacrifices the signers made for the cause of freedom. From the 19th century I was inspired by the residents of Amesbury, Massachusetts who erected a statue of their native son, Josiah Bartlett, on July 4, 1888, and especially by Amesbury resident John Greenleaf Whittier who wrote a poem to commemorate the event. In the 20th century my grandfather Sidney Lewis wrote a song which provided valuable musical inspiration. And finally from the 21st century I drew on the musical knowledge I acquired while working toward a Music Studies degree at a local community college. The story of the song’s composition begins with its musical elements of melody and harmony. The genesis of the song’s melody arose from my grandfather’s march, United Nations, which he published in 1942. I began by writing a jazz harmonization to Sidney’s song, and then wrote a new melody based on that harmonization. The new melody makes rather extensive use of Sidney’s rising chromatic scale motif that he used to begin his piece. I sensed that the song’s melody and chord structure had a certain nostalgic feel, so I searched for words to match this feeling. I was delighted to find the appropriate spirit in selected verses from the poem John Greenleaf Whittier wrote for the 1888 Bartlett statue dedication in Amesbury. Whittier’s verses include a nice mix of praise for both Bartlett individually (“No firmer fingers held the pen which wrote for liberty or death”) and all of the signers collectively (“Not for their hearths and homes alone, but for the world their work was done”). I retained the idea of collective praise when I wrote the lyrics for the song’s chorus, which are directly inspired by the last phrase of the Declaration, “…we mutually pledge to each other our Lives, our Fortunes, and our sacred Honor.” In recognition of the importance of Whittier’s words to the song’s message, I decided to give my song the same title as the poem, One of the Signers. 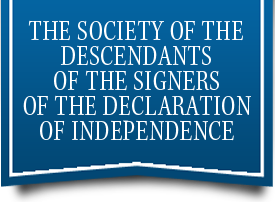 A recording of One of the Signers is available on the DSDI web site. On the recording I play the piano and clarinet, my professor Joe Whalen plays the bass, and my daughter Rose Lewis provides the vocals. Rose is currently pursuing a Master of Music degree in Voice Performance from Boston University. She is grateful for the support she has received from the DSDI scholarship program during her college career. DSDI member David Lewis is a retired computer programmer from Wethersfield, Connecticut who recently earned his Associate of Arts degree in Music Studies from Manchester Community College. His primary instrument is the piano. He and his wife Donna recently visited Amesbury, Massachusetts to view the Bartlett statue and learn a bit more about John Greenleaf Whittier. They found several interesting places to visit in Amesbury, including the Whittier Home. They also discovered that the Whittier Birthplace in neighboring Haverhill is well worth a visit. This entry was posted in Massachusetts, News. Bookmark the permalink.